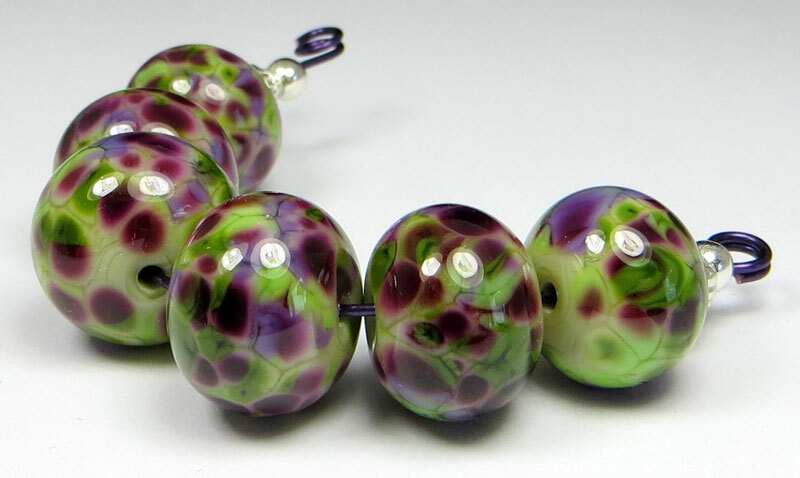 Click here for other interesting Dried Sage Ltd Run discoveries. 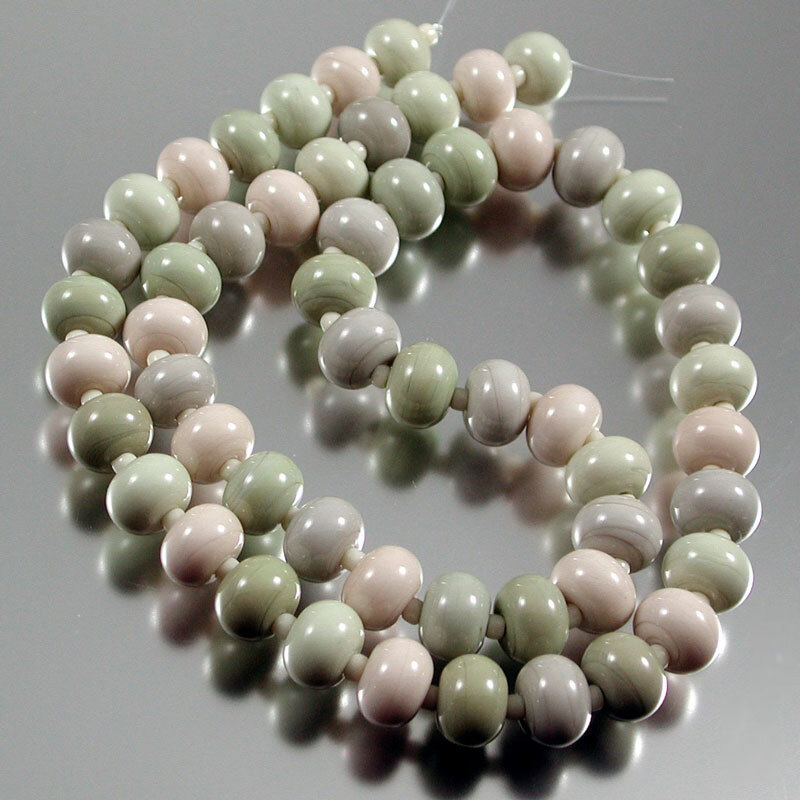 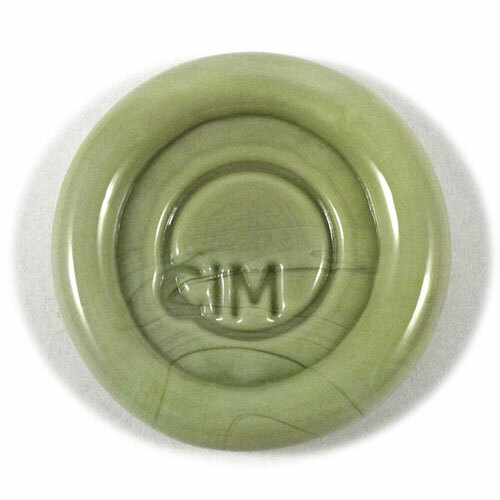 "This soft green opaque glass has a very soft olive green tint to it in rod form. 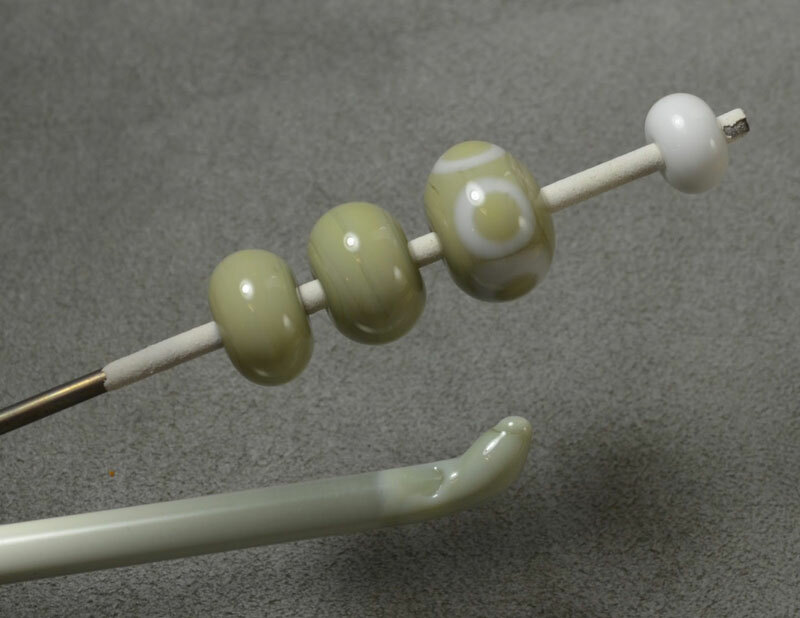 After working this glass heavily in the flame for some time, I noticed a colour shift from green to ivory. 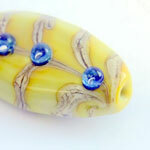 This was further developed after using silvered glass to add decoration to the surface of the bead." 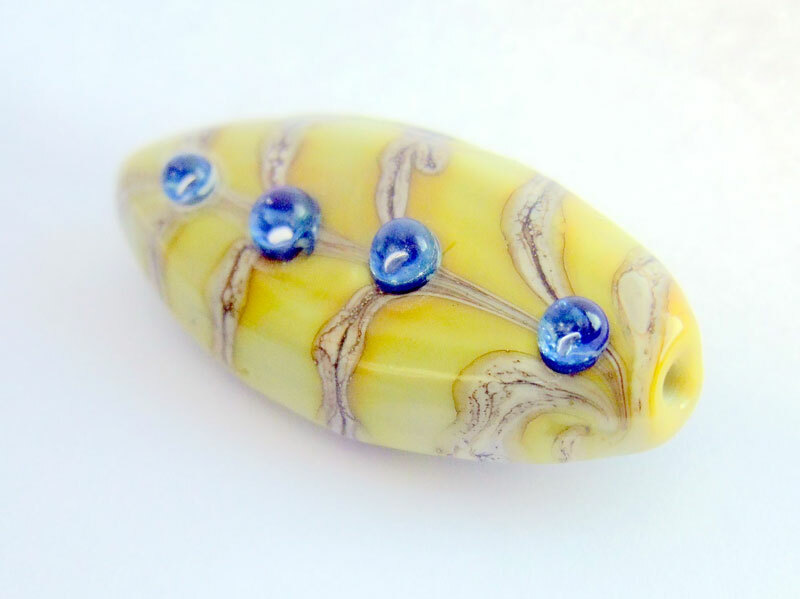 "You can see on close examination that it is a little streaky, and makes some interesting patterns around the dots - and had bled into the white." Read more at DragonJools blog.